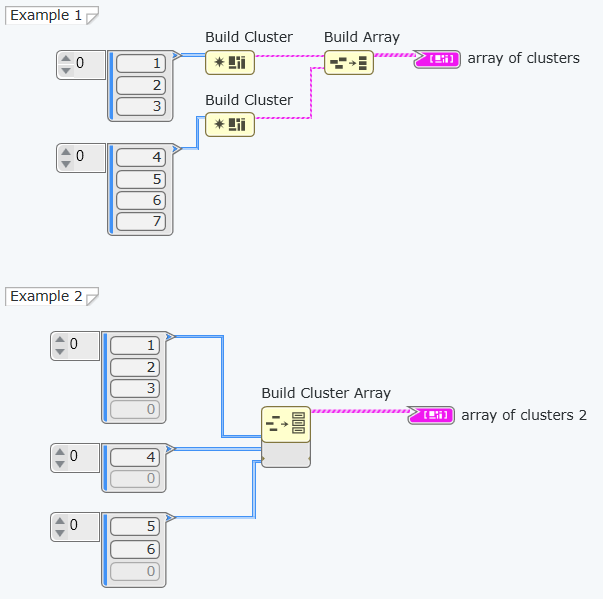 Creates an array of clusters where each cluster contains an array as its only element. This node provides a way to create a jagged array. You cannot otherwise create an array of arrays. An array that you want to store as an element within a cluster. An array of clusters in which each cluster contains a single input array. This node performs the same operation as Example 1 in the following image. You can use Build Cluster Array to improve implementation time.